Man city crash out of the champions league, on away goals. It will be a difficult defeat to accept because, over two legs, they scored 6 goals. In European football, that is a difficult task, however, their Achilles heel cos them the game, the back four, who let in 6 goals, many of which were sloppy and preventable. It is something that you cannot afford to do at this level. PSG V Barca showed us exactly how not to approach this type of game; leaders, game management and resolute defending need to be the cornerstone of any real champions league team. Something Man City lack with Kompany out. Man City had plenty of chances, Aguero missed several good opportunities. You have to give credit to Monaco. They started the game in unbelievable form. There was electricity about the players. There was hunger and they were too hot for City to handle. City are not good enough defensively. They scored but it was too little too late and you knew Monaco would score again. Just watching Manchester City’s defending for the free-kick that led to Monaco’s decisive goal and it’s truly woeful stuff. I’d be fuming if I saw that in League Two – high line, no-one picking up runners, no-one commanding the box. 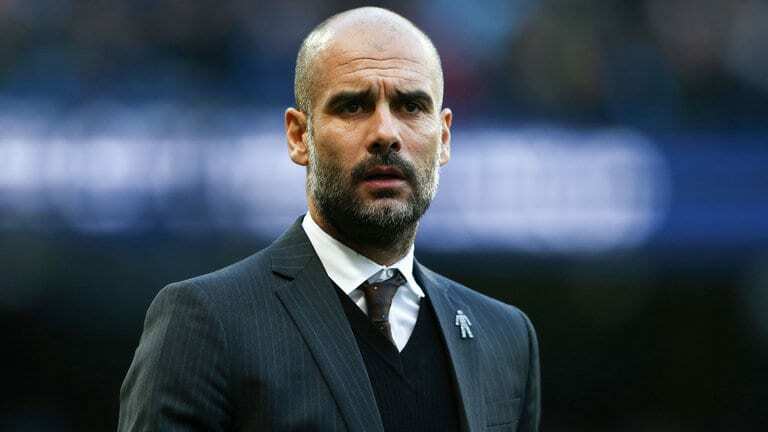 Pep Guardiola’s reaction was to whack the top of the dugout before stamping his feet. He was fuming. Despite that, you almost expected another 95th-minute winner from Man City, but their hopes were dashed by the match referee, who only played 3 mins of extra time, which should have been closer to 6. Manchester City boss Pep Guardiola, talking to BT Sport:”We played exceptional second half but we forgot to do that in the first. We wanted to defend aggressively. We were better in the second but it wasn’t enough. On the same night, Pep Guardiola becomes the most successful manager in European club competition after 100 games despite this defeat. Scant consolation for his first taste of exiting the competition at this stage.